Mosquito Repelling vaporizers are generally switched on throughout night to repel mosquitoes. This is not necessary because Mosquitoes become active during the evening hours for feeding. If it enters the home in the evening, it will bite in the night also if gets a chance. So the best method is to use the vaporizer in the evening hours. 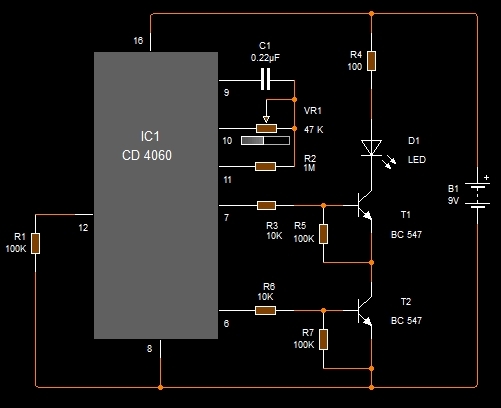 This circuit automatically turns on the vaporizer around 6 pm and keeps it on till 9 pm and after that, it switches of the vaporizer. This reduces the quantity of inhaling fumes and also increases the usage days of vaporizer. The circuit can be enclosed in the switch box itself.